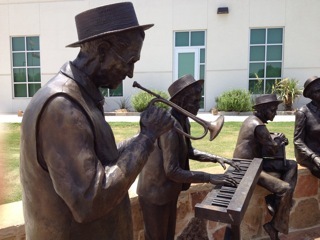 The recently completed Senior Center is now the home of the “Kitchen Band” bronze sculpture. 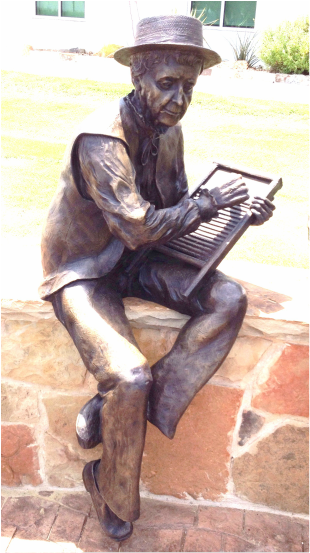 Several people who were in a city kitchen band many years ago are illustrated in this sculpture. Their relatives, now members of the Senior Center, have photos showing them playing the washtub, washboard, spoons, and anything else that made noise. Some were actually musicians and helped support the band with keyboard and tiny bugle, the bugle player being the leader of the group.